In1932, Rev. 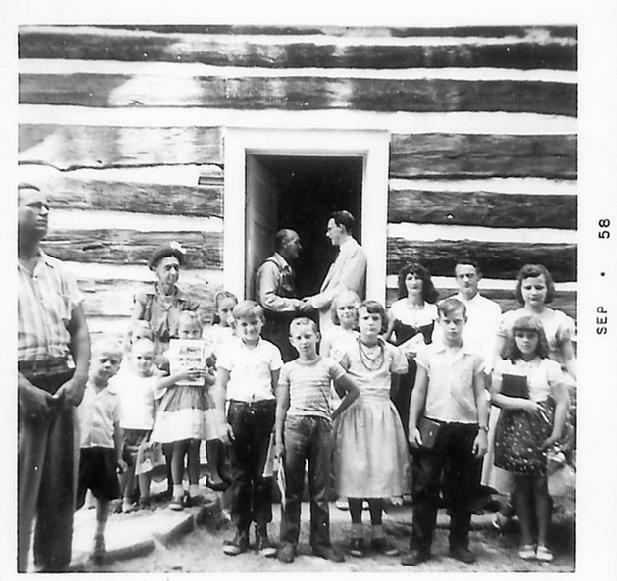 Hugh Ash, a Northern Presbyterian Church pastor, visited a mountain Sunday school meeting in the home of Arthur and Ida Glover in Sullivan County, Tennessee. He asked if they would like to start a Presbyterian Church, and told them about Mrs. M. Jeanetta Moore of Columbia, N.J. who wanted to donate money for a church in memory of her daughter, Edna Jeanetta Ryder. Edna planned to be a missionary, but died at the age of 18. The people accepted, and Mrs. Moore donated money for the essential items. In the summer of 1932, Edward & Mable Stevens, and John & Bonnie Buchanan donated land for the church. Sycamore trees were cut by men of the community. Sampson & Edward Cox pulled logs out of the mountains with horses. Brownlow & Jake Fritz hewed the logs, and William Hopkins scored them. William Combs did the inside finish work. Most men of the community helped in some way, led by William Hopkins. The first service in the new church was held in April 1934 and it was organized in July as the Edna Jeannetta Ryder Memorial Presbyterian Church. The church is now known as Ryder Memorial Presbyterian Church. Preson P. Phillips, Jr. was the first pastor. After he suffered a stroke, Rev. Leonard Allred of Greensboro, NC served as supply pastor. In the spring of 1958, James Hoff, a student at Graham Bible College, agreed to serve as a student supply pastor with Ted Noe appointed by Presbytery to serve as Moderator. The church was pastored for thirty-eight years by Rev. Martin C. Freeland, beginning in the early 60's. It is now pastored by his son-in-law, Rev. Garry Z. Cole, who was installed as pastor on May 15, 1998. Ryder Church Road was known as Rural Route 3 until the county decided to name area roads. The only sign they saw at the end of the road was one that Rev. Freeland had posted showing the way to Ryder Church, so the road was named after the church. 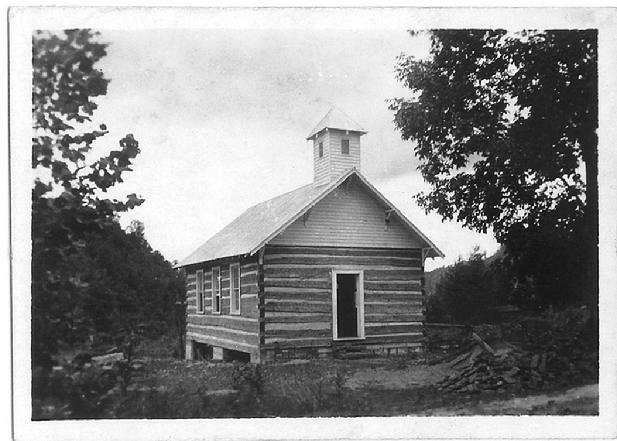 The church was also used as a school until 1939 when the county bought property next door and built a school there. 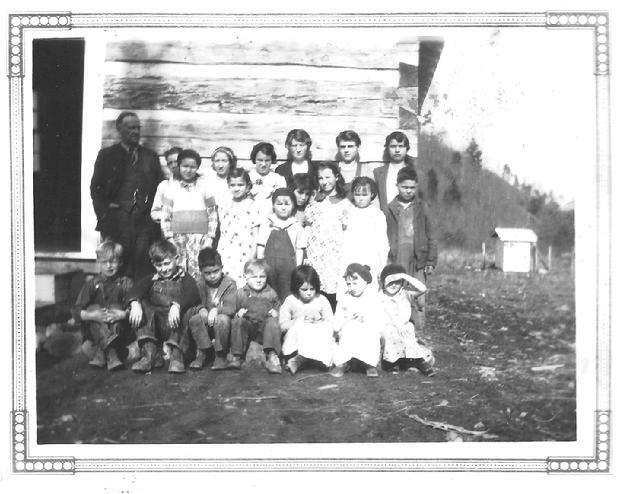 The school was called Ryder Mellon School and was open until 1950 when school buses were put into operation and the children were taken elsewhere. The school building was then sold to Cyrus Carrier, Jr. and his wife, Novella. Their granddaughter now lives there with her family.